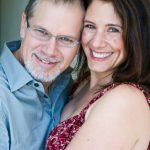 Husband and wife Orna and Matthew Walters are relationship experts who have combined their professional backgrounds to help others grow in their personal and love lives. Orna is a Manifestation Coach and Professional Hand Analyst and Matthew is a Hypnotherapist with a focus on NLP and Therapeutic Imagery. To learn more, visit their website: creatingloveonpurpose.com.